BARAHI THAKURANI BARISTHA NAGARIKA SANGHA is located in Cuttack Orissa . BARAHI THAKURANI BARISTHA NAGARIKA SANGHA is registered as a Society at Cuttack of state Orissa with Ngo unique registration ID 'OR/2010/0028874' . 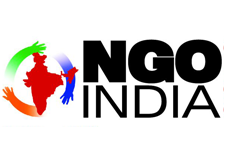 The NGO registration is done by Sub-Registrar with registration number CTC NO 17805/67 of 2009-2010 on the date of 12-03-2010, Its parent ORganaisation is PaulFoundation. The Chairman of BARAHI THAKURANI BARISTHA NAGARIKA SANGHA is shyama sundar mohanty and Chief functionary officer is niranjan prasad mohanty. Promoters are niroj kumar mohanty, raja kishore mohanty, kailas nath tripathy,akshyaya kumar naik.